There are so many directions you could go with this look, so it's a great opportunity to play around and create a simple design or something with a bit more punch. As always, the more colour you add, the more impact your scheme will have, so it's important to decide which direction you want to go from the outset. To keep it relaxed I recommend using a stony-grey base, and then add a stronger inky tone through feature chairs and cushions. To give it more style, strong, oversized artwork with the same mix of tones really sets the look off and adds an extra layer of colour and texture. The beauty of this colour palette is you can be brave. This colour is too good to scrimp on and it has a naturally cool tone, so for maximum effect you can paint walls, doors, ceilings and skirting, and the scheme will still be wonderfully relaxed and calm. 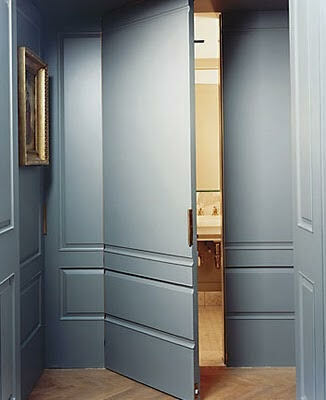 The cooling nature of this colour tone cries out for some perfect accompaniments. A natural wood floor makes a delicious contrast — the warm and cool tones work in perfect harmony. 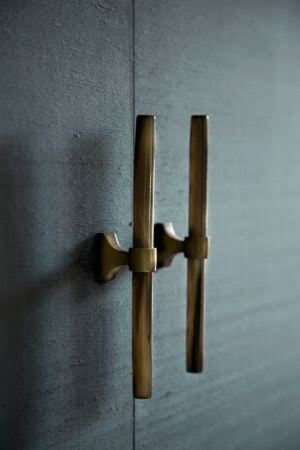 And copper accents add an additional twist of glamour and sophistication. 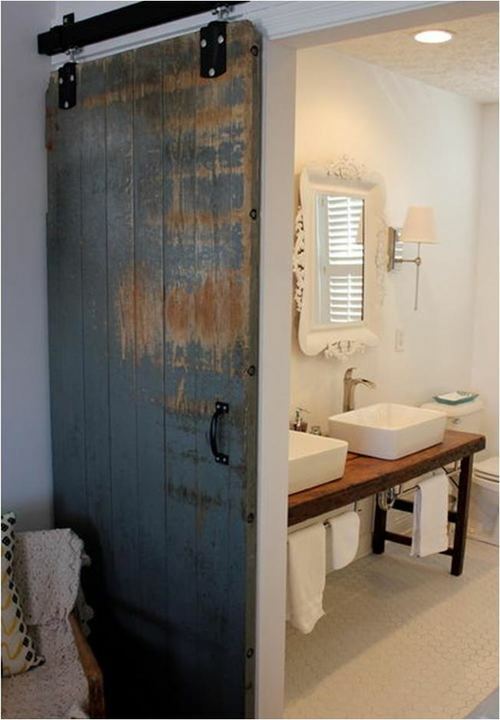 You could add a little more texture by going on a hunt for an old barn door and bringing the colour through with that. I love pairing the rough with the smooth as it makes for a really interesting scheme that feels like it has a story to tell. A cement sink has hints at the bluish-grey tones but keeps the look very simple and understated. 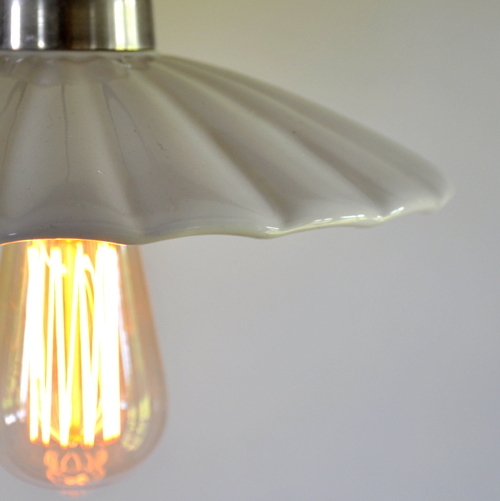 To bring warmth to this gorgeous colour scheme try adding an Edison filament bulb or two — the perfect finishing touch.